Emek will have “Coachella 2015″ gig posters available soon. It is 22″ x 30.5” Screenprint, Artist edition of 100, and cost $100. On sale Thursday, May 14th sometime between 12:00pm and 12:30pm PDT HERE. 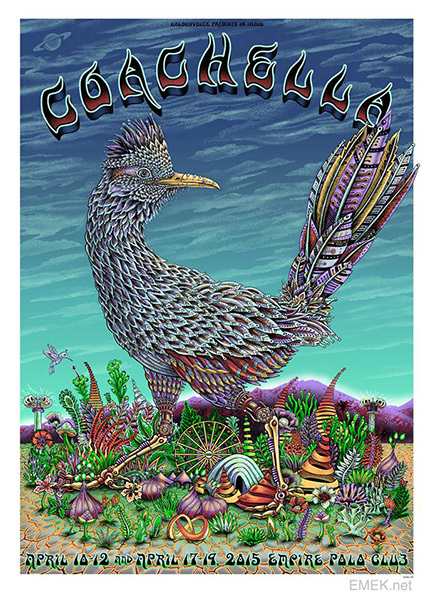 This entry was posted in Gig Posters and tagged Coachella, Emek by admin. Bookmark the permalink.